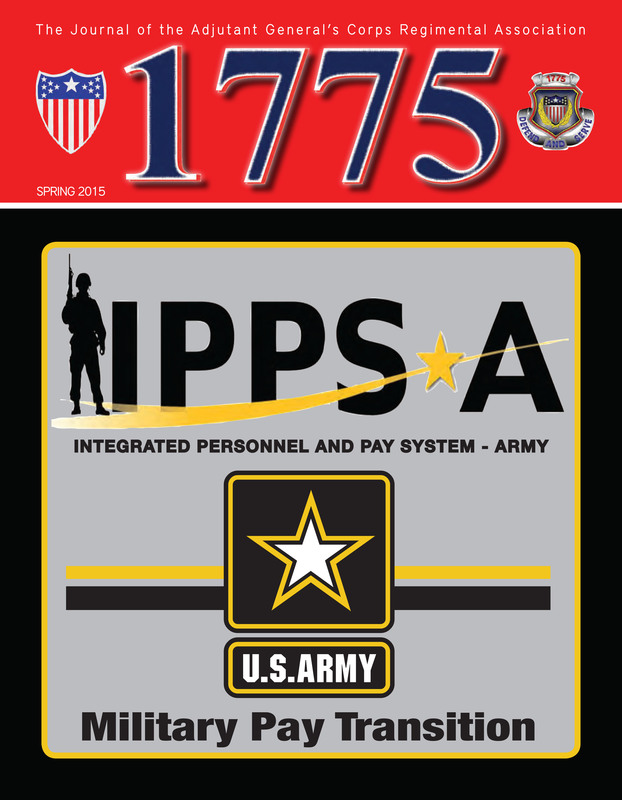 This condensed edition of 1775 is dedicated to the Integrated Personnel and Pay System – Army (IPPS-A) and the Military Pay (MilPay) Transition from the Army’s Financial Management (FM) Community to the Army’s Human Resources Community. IPPS-A will be incrementally fielded over several years from Increment I (Release 1) through Increment II (Releases 2-5). As the Army is currently executing Release 1 to establish the IPPS-A foundational database with linkages to the Army’s legacy HR systems. Soldiers will review their Soldier Record Brief (SRB) to support data accuracy efforts by AG Soldiers and HR Professionals. HR data accuracy efforts are paramount at this time. During IPPS-A Release 4, the AG Corps will gain the responsibility of Soldier MilPay actions. The transition of MilPay responsibilities from the Financial Management Community to the Human Resources (HR) Community has been initiated by the Army with an ongoing review of finance tasks which the HR Community will eventually inherit. Like IPPS-A, MilPay transition will be a paradigm shift from how HR Operators have executed their HR mission essential task list in the past. We hope you enjoy this edition of 1775 and we welcome your feedback by e-mailing comments tomagazine@agcra.com.